The U.S. Supreme Court in Atkins v. Virgnia (2002) banned the execution of individuals with intellectual disabilities (mental retardation), but allowed each state to set guidelines for determining whether an inmate has such a condition. In Georgia, capital defendants are required to prove “mental retardation” beyond a reasonable doubt. It is the only state in the country that sets such a high burden of proof for such claims. Warren Hill had a strong claim of intellectual disability. A state judge found that Hill was intellectually disabled, but under a lower legal threshhold than is required in the statute. In 2003, the Georgia Supreme Court reversed the judge’s ruling in a 4-3 vote, holding that Hill’s lawyers had failed to clear the threshold of “beyond a reasonable doubt.” Last year, the U.S. Court of Appeals for the Eleventh Circuit upheld the Georgia Supreme Court. Writing for the majority, Judge Frank Hull said federal law "mandates that this federal court leave the Georgia Supreme Court decision alone — even if we believe it incorrect or unwise." [T]he ABA strongly urges that Hill’s execution be stayed until his pending Supreme Court petition can be considered and decided on the merits. A stay of execution is not only appropriate in these compelling circumstances — it is what justice demands in order to prevent an unconscionable result. (July 8, 2013). 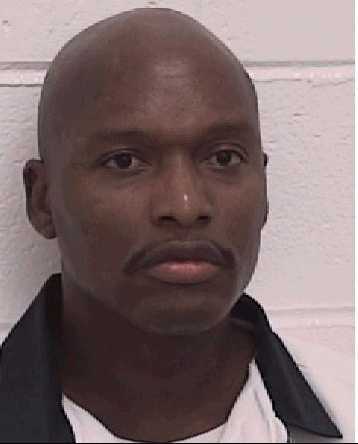 Read DPIC's Press Release about the upcoming execution of Warren Hill in Georgia. Hill's attorneys have filed motions for a stay in the U.S. Court of Appeals for the Eleventh Circuit and in the U.S. Supreme Court. UPDATE: (July 18, 2013). A Georgia judge has ruled that the state's new law shielding the source of lethal injection drugs unconstitutionally interferes with Hill's right to challenge the method of execution. Hill's stay of execution is extended, though the state has appealed this ruling. Read the Judge's Order. For additional information on Warren Hill and Georgia's secretive lethal injection procedure, see A. Cohen, "The Warren Hill Execution: A Late Challenge Over Lethal-Injection Drug," The Atlantic, July 15, 2013). Listen to NPR's "All Things Considered" for a discussion of the issues, with DPIC's Executive Director. Doctors Who Evaluated Death Row Prisoner for Georgia Now Say that Warren Hill has Mental Retardation. See Press Release. Read Last Chance for Warren Lee Hill by Lincoln Caplan, N.Y. Times, Feb. 19, 2013. On July 19, 2012, a Superior Court judge in Georgia stated: “The Court finds that this Court's previous finding... that Mr. Hill has an I.Q. of 70 beyond a reasonable doubt and meets the overall criteria for mental retardation by a preponderance of the evidence is justified by the evidence in this case.” Nevertheless, the judge denied Hill's motion for a stay of execution and for relief from his death sentence because his mental retardation had not been proven beyond a reasonable doubt. (Hill v. Humphrey, No.12-V-658, Butts Cty., July 19, 2012). Warren Hill is scheduled to be executed on July 23. The court's order is under appeal. Former President Jimmy Carter and his wife, Rosalynn, are among those requesting a commutation to life in prison. UPDATE: (1/27/15) Hill was executed after the Supreme Court denied a stay and the state denied clemency. The U.S. Delegation of the European Union wrote to the Georgia Board of Pardons and Paroles requesting clemency for Warren Hill. Hill's attorneys filed a petition with the U.S. Supreme Court to stay the execution. President Jimmy Carter and Rosalyn Carter called for a commutation of Mr. Hill's death sentence to life without parole. Additionally, the American Bar Association, the Georgia NAACP state chapter, the ACLU, and the Council of Europe have all called for the execution to be stayed. See also Prof. John Blume's (Cornell Law) op-ed in the National Journal (Jan. 22, 2015).